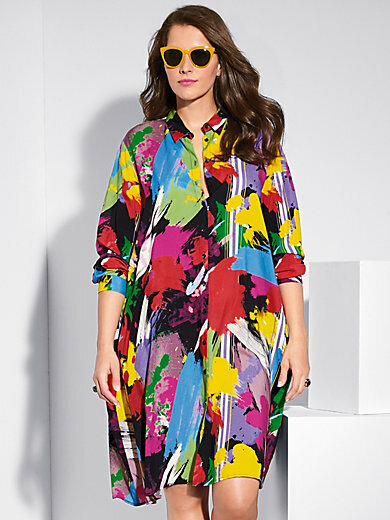 Shirt dress by FRAPP: featuring an expressive brushstroke pattern. With long sleeves, shirt collar and full-length button front. This dress can also be worn as a long blouse or open jacket – it’s up to you! 100% viscose. Length in size 16 approx. 40ins. The shirt dress is machine washable.